I have a hp compaq 8200 elite small form factor that I am trying to upgrade the ram in. 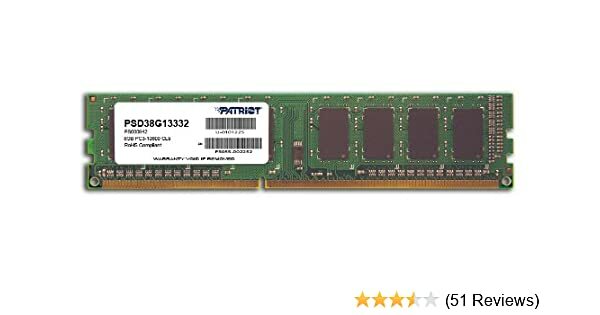 After some research, I purchased 8gb ddr3 1600 cl10 240 (2x4gb) thinking it should be compatable with this pc. Now after installing it, the PC does not power on. Was I wrong aboutt the compatability of this ram and PC? If so, can anyone suggest 8gb of ram that would be compatable? I put 4 of these in my 8200 Elite CMT last Fall. Works great. I only paid $29 bucks apiece for them back then, so I have no idea why the price went up so much. Several years ago, I put 4 of these in my other 8200 Elite...Works great. Do you have any idea why 8gb ddr3 1600 cl10 240 (2x4gb) wouldn't work? It seemed to be compatable from what I could find online. The only thing I can think of is that the timing specs are different from either of the ones I bought. Are you sure that was an 8gb stick you got a while back? I thought I read somewhere that this motherboard was limited to 4gb per slot. ...the largest memory capacity possible is 32 GB, assuming dual channel mode with four x 8 GB dual ranked unbuffered DIMM memory configuration.